Many French Porcelain Society members are also interested in other European ceramics. Our Journal VI (2016), entitled ‘Céramiques sans Frontières: The Transfer of Ceramic Designs and Technologies across Europe’, based on the Society’s 2015 symposium, expanded our knowledge of other European factories from all periods. Below is a sampling of some of Europe’s greatest ceramic traditions and factories. All Italian pottery covered with a white, tin-opacified glaze made during the Italian Renaissance in centres at Urbino, Deruta, Caffagiolo, Faenza and elsewhere, is known as ‘maiolica’. The term ‘maiolica’ was originally used in fifteenth-century Italy for lustrewares imported from Spain. 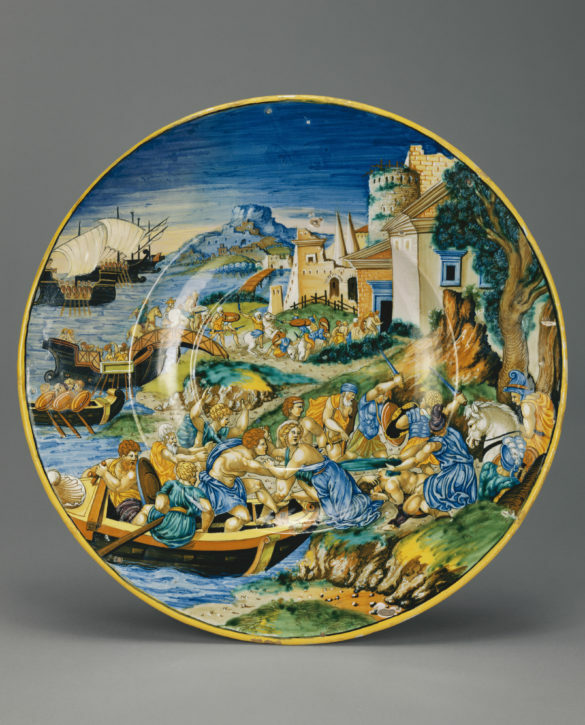 Italian maiolica is celebrated for its colourful, painterly tradition. The images were drawn from printed sources, often scenes from classical mythology or daily life. Few examples are signed; however, one of the greatest painters did sign his work, Francesco Xanto Avelli da Rovigo (c. 1487-1542). Often described as ‘Delft’ ware, the finest white, tin-glazed earthenware was made in the town of Delft in the Netherlands from c. 1600. However, it was also made throughout the country in Rotterdam and elsewhere. 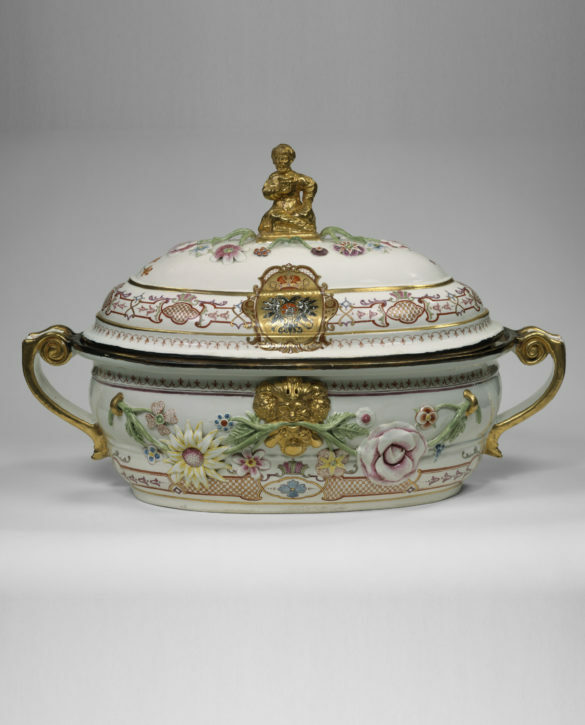 The term faïence covers all European tin-glazed earthenwares made between c. 1600 and 1800. 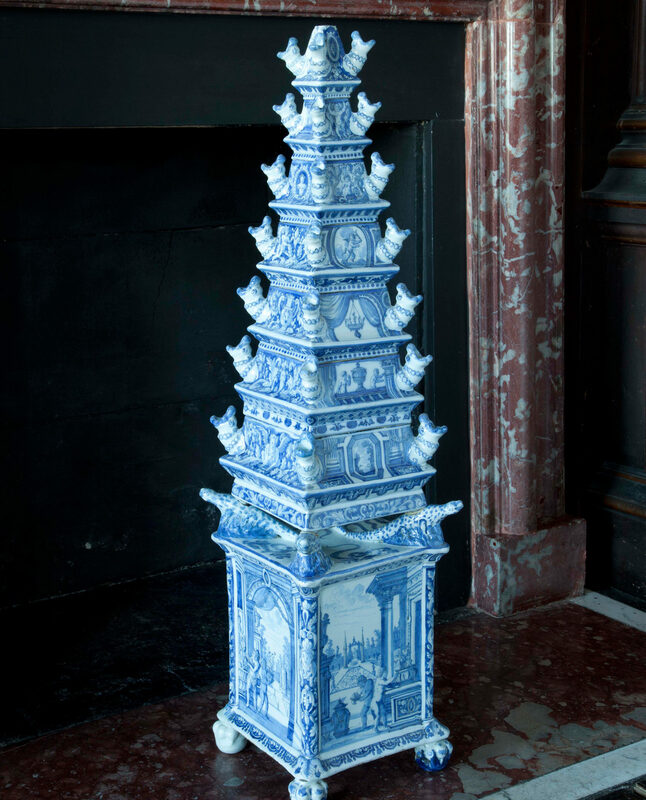 The finest examples imitate the blue-painted technique of Chinese porcelain but in shapes and designs inspired by baroque architecture and interiors. One of the finest workshops in Delft was operated by the De Grieksche A (The Greek A) factory, operated by Adrianus Kocx, its owner, between 1686 and 1701. The factory at Meissen, near Dresden in Germany, was the first in Europe to produce hard-paste porcelain. It was developed in 1708 by Ehrenfried Walther von Tschirnhaus (1651-1708) and in production commercially under Johann Friedrich Böttger (1682-1719) from 1710, under the patronage of Augustus II (1670-1733), King of Poland and Elector of Saxony, known as Augustus the Strong. 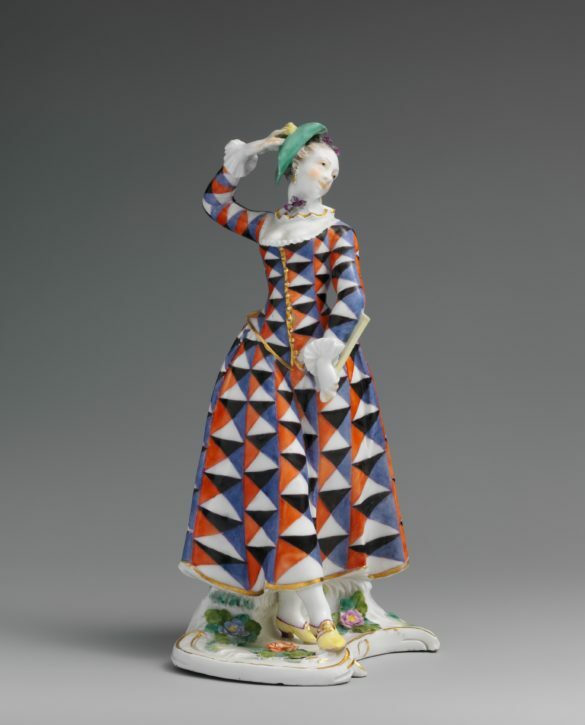 Many skilled artists, painters and sculptors worked at the manufactory, which dominated the style of European porcelain until the 1750s. The wares are marked with crossed swords in blue, one of the oldest trademarks still in existence. The sculptor Johann Joachim Kändler (1706-1775) was the most important modeller of the Meissen porcelain manufactory. His work substantially changed the porcelain industry. The factory established in Vienna in 1719 by the Dutchman Claude Innocentius Du Paquier (1679-1751) was Europe’s second hard-paste porcelain factory. Emperor Charles VI (1685-1740) gave Du Paquier an exclusive patent to manufacture it. He hired employees from his rival Meissen, including a kilnmaster who knew the recipe for making porcelain. Among his courtly wares was a matching table service painted with the Russian imperial arms, a diplomatic gift of the Emperor to the Czarina, Anna Ivanovna (1693-1740). In 1744, impending bankruptcy forced Du Paquier to sell the factory to the state when his imperial privilege expired. The state-owned factory continued until 1864. A porcelain manufactory was founded around 1737 at Doccia, in Sesto Fiorentino, near Florence, Italy, by the Marchese Carlo Ginori. He hired Carl Wendelin Anreiter von Ziernfeld (1702–47) from the Du Paquier factory in Vienna to head the painting workshop and a local sculptor, Gaspero Bruschi, as the chief modeller. Around 1740, Ginori obtained a privilege for hard-paste porcelain manufacture in the Austrian-ruled Grand Duchy of Tuscany, giving him the security of a monopoly. 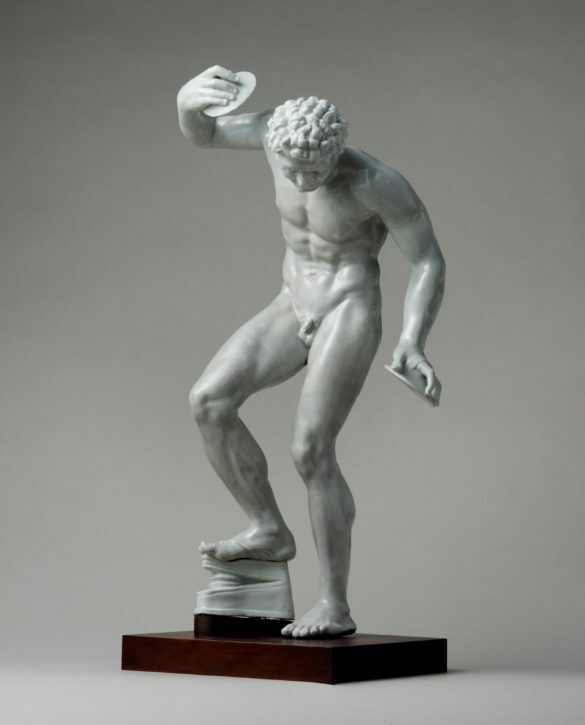 His factory produced a variety of sculptures of ambitious scale having purchased wax models and casts from the heirs of major Florentine baroque sculptors Giovanni Battista Foggini and Massimiliano Soldani and others after famous Roman sculpture. In 1896 the factory was incorporated with the Società Ceramica Richard of Milan, as Richard-Ginori. Almost every princely court in Germany established a porcelain factory to supply their tables with prestigious tablewares and present as diplomatic gifts. After his accession in 1745, Maximilian III Joseph, Prince-Elector of Bavaria (1727-77), commanded the establishment of manufacturing companies in order to bail out the state finances. 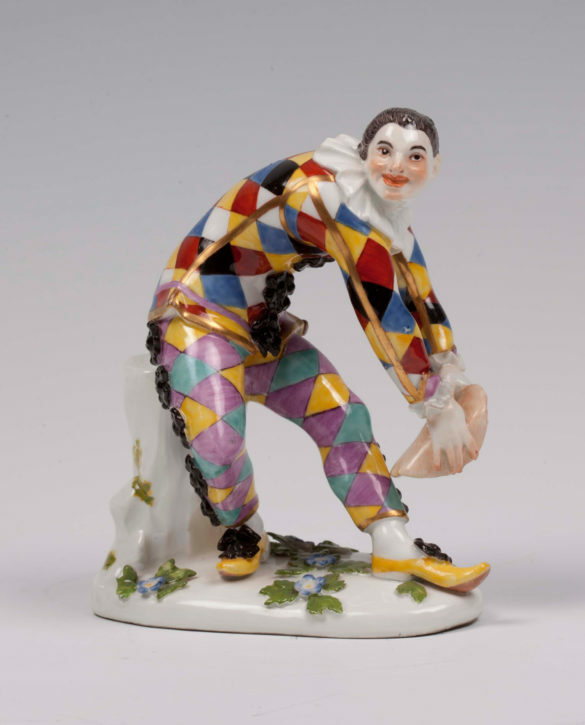 From 1747, experiments in porcelain were produced in the former Neudeck Castle outside Munich. In 1754, the celebrated rococo porcelain sculptor Franz Anton Bustelli (1723–65) arrived at the factory. Bustelli created sixteen Italian Comedy figures in the years 1759– 60; they were conceived as pairs, elongated, graceful, and expressive. The somewhat exaggerated theatricality was typically balanced by that of its pair. By 1761 the factory had moved to stables in front of Nymphenburg Palace, where it remains today.